How Much Is Bottle Service At Encore Beach Club? You are one step away from having the ultimate experience at Encore Beach Club. Guarantee your bottle service today and enjoy an assigned EBC VIP host and bypass all general admission lines. Bottle service more than you have budgeted for? Check out the Encore Beach Club guest list instead. Common bottles of alcohol are priced between $600 and $675. These prices do not include 8% tax and 20% gratuity. The price for the tables and the bottles are the same thing. Your spend for the table goes toward your bottles, drinks, shots, and for food. Know that for every 5-6 people in your group you will need to purchase a bottle. 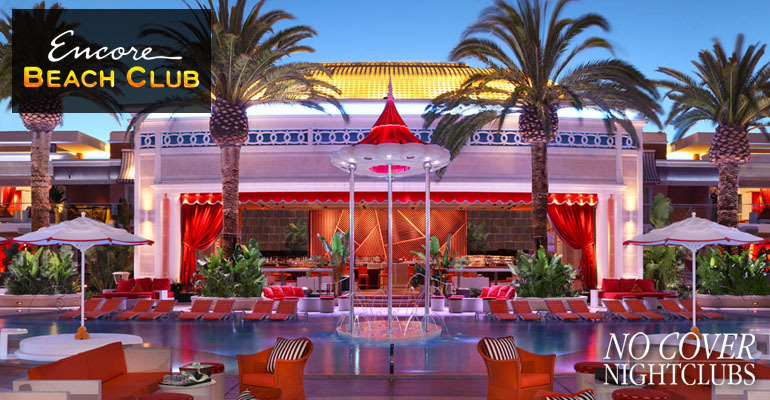 Entry level tables at Encore Beach Club start at $1,000 and are typically at lily padlocations. 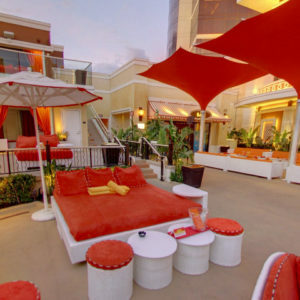 Larger poolside daybeds are priced from $1,500 - $2,000 and give you more real estate to enjoy the top DJ performances. The best locations are cabanas and bungalows that are priced starting from $3,000 which give you and your group the most elite VIP party spots. All of your spend goes directly to your bottles and food at the dayclub itself. How Does Encoore Beach Club Bottle Service Work? When you make a reservation for bottle service through our site you are making a reservation directly for Encore Beach Club. After confirming a reservation you simply arrive at the club and check in with the hosts at the table reservation entrance. Your table location is dependent upon a few factors that include your arrival time at the venue and your planned spend for the night. Be aware that your reservation comes with your own table and area to sit as well as your own waitress, busser, and security staff. You'll be granted your own spot that is separate from the general public to dance, drink, and enjoy the event. If you have more questions about bottle service in Las Vegas check out How Las Vegas Bottle Service Works. Groups in search of the ultimate VIP experience at one of Las Vegas's top dayclub will be interested in bottle service and cabana reservations at Encore Beach Club. These spots ensure you get the best locations to be a part of all the action. EBC has been constructed with the DJ and live performances as the focus with an array cabanas and day bed that bring luxury to the next level. Those with bottle service and table reservations will have the fastest entry and will acquire their own areas to party not accessible bu the general public. Plus groups get their own ridiculously hot waitress, busser, and security staff. 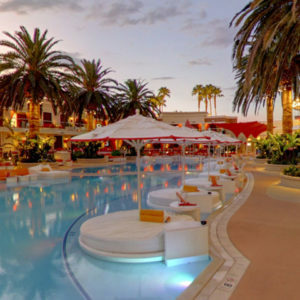 Your group will have plenty of room to party, dance, and enjoy everything a pool party in Las Vegas has to offer. 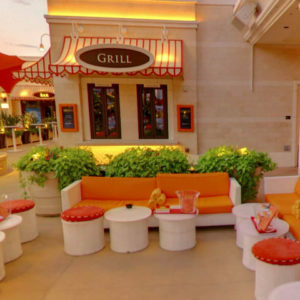 Bottle service prices, menus, and availability are be provided to you by directly connecting with a Encore Beach Club VIP hosting options using our packages above. The price for the tables and the bottles are the same thing. All of your spend for the table goes toward your bottles. EBC is one of the more massive pool venues in town, and their two stories of cabanas and daybed along the sides of the water are what highlight the experience. Beat the heat in Vegas with a cabana that comes with its own private pool. Feel like being up close and personal to the party action? Reserve a table right next to the DJ booth. Table and bottle service locations always depend on a few factors including how much you plan to spend, the time you arrive at the dayclub, and the amount you may provide the pool hosting staff. 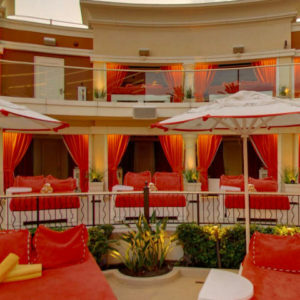 Connect directly with the Encore Beach Club hosts and get quote on bottle service and cabana reservations. Feel free to ask about EBC's bottle prices, menu, and availability. 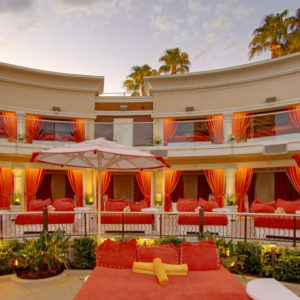 Encore Beach Club guest list is available for free here.